Selecting the right filtration technology for all applications becomes easy when you perform a Particle Distribution Analysis (PDA). Laser counters are the most commonly used and are accurate and affordable. Considerations must be given to determine if the Total Suspended Solids (TSS) illustrate a majority of total counts less than 10.0 microns. The microscopic particles between 0.45 and 5.0 microns are responsible for biofilm buildup and increased energy and operational costs. Enhanced filtration and chemical treatment programs in a sustainable manner. Cleaner heat exchange surfaces that reduce or maintain design performance criteria. Saves Energy, Water, Labor, and Downtime. Reduced erosion of piping, valves, seals, impellers. Better cooling water heat rejection. Reduced MIC, Anaerobic and harboring of higher life forms. Less frictional drag of pumped water caused by biofilm. Biofilm has a thermal conductivity of just 0.6 and is four times as resistant to heat transfer as compared to calcium carbonate scale. Years of research have proven that biofilm starts with TSS around 5.0 micron size range and smaller particles attached to the base layer later on. Selecting the right technology that can reduce TSS between 0.45 – 5.0 microns is of the utmost importance. Consider a 200 ton chiller operating at 50% load with a $ 0.05/kwh rate, the energy cost to operate that chiller would be $ 26,280.00/yr. 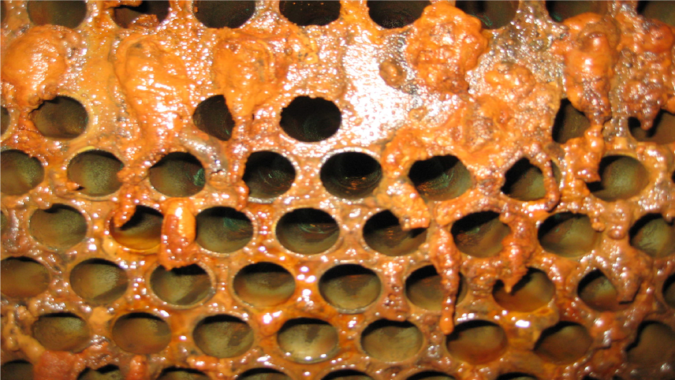 A 0.045 inch of biofilm on the condenser would increase the energy cost by $9,198.00. Buying a product that only fits a specific budgeted amount of money could be a bad investment. Understand your options with specific goals and objectives in mind to achieve a real ROI. Wilfred J. Rebello, PAR Enterprises Inc.